It's that time of the year again and Belle de Jour has outdone itself! For it's 12th year, BDJ's theme entitled I am a Beauty of One to remind us that our beauty is unique and that we can find the light inside all of us. This is a year to refocus on ourselves and to get acquainted with our strengths and weaknesses and find balance in it. It's that true quality "me-time" that will only bring our our best versions. Belle de Jour has always been holistic. Meaning they do not merely make yearly planners but they ensure that the planning done inside these pages are done mindfully. And so we come to the launch that's been the most anticipated event of many Filipinas! This year's Dare to Be You BDJ Launch weekend is going to epic. On October 20 and 21, BDJ will launch it's 2018 planners along with a plethora of talks and workshops that embodies 2018 theme to help and nourish the mind, the hearts and the souls of all us Bellas. What better way than to have some serious #GoalsGurus to teach us what they know to help us kickstart our 2018! Here are the top 4 talks I'm excited to attend at the Dare to be You BDJ Launch Weekend! Belle Mapa is a bullet-journal expert, an artist and essayist. Her thought and creativities are seen and read in her quirky named blog titabulletjournal.wordpress.com. 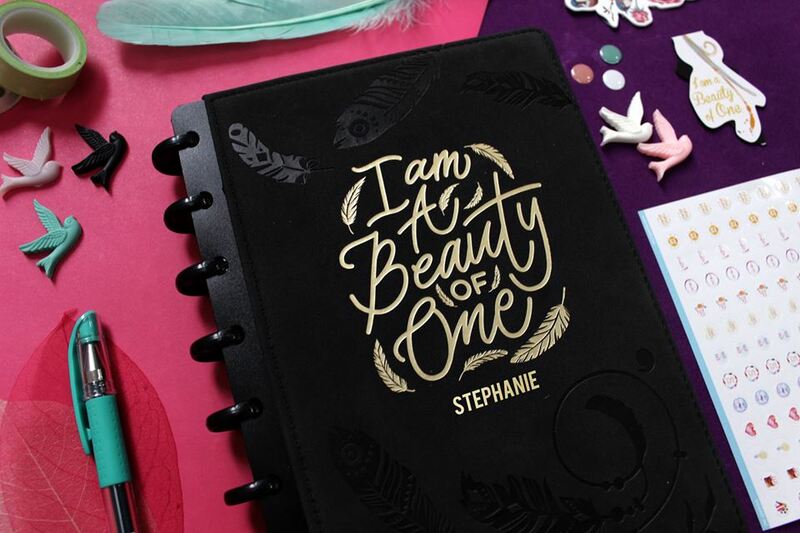 What tugs the hearts is her story on how she managed her depression with bullet journaling. It's been a dark few months for me these days I really need all the help I can get and who else better that once who has succeeded against depression, right? Have a glimpse of our #GoalGurus who will help you discover your self this coming year! Jill is one of my very first blogger friends. I was in law school when I started reading her beauty blog, Kikay Exchange. She's lawyer now balancing life as a mother, a wife and career. She's very frugal and practical and same way I was inspired to be a blogger like her, I want to be inspired again on how she lives a alife of beauty but with frugality and practicality. Isn't our yearly goal is to be healthy? If there's one thing I know, there's always something to learn from people who succeed as getting rid of junk from their body. But not all junk comes from the food we eat. Often it comes in a form of depression. Since it's #MentalHealthWeek, I want to know more about depression and how to feel genuinely happy. Because believe me, even a psych major like me can succumb to the big bad dark days. Ayesa Aya is the woman behind DeclutterMNL. She's a huge inspiration to a lot of people. And there's nothing really more that I want right now that toss and sell a lot of my stuff that I don't need! But where to begin? Well looks like Ayesa has all the answers for me. He talk will make room for better things in life and what I can do the things I need to finally let go of! If you have the same dilemma as I am, then you better be up and front on this talk! These are definitely the talks I will be going to at the Dare to Dream #BDJLAUNCHWEEKEND. But if I had to choose one since you can go to one talk when you purchase a BDJ Planner, I'd choose Belle Mapa's How-to on Bullet Journalling. Learning something new is always my goal every year. It doesn't take a lot of money, it's relaxing and it adds to my skillset. I hope to see you there because there!! I'll be there to attend these talks and most of the workshops!